This Toklat Medallion Fleece High Profile Pad with Number Pockets is created with fleece that has super powers to keep it from flattening or clumping after use. The Medallion Fleece has two layers of fleece and is combined with SuperQuilt, a soft but durable quilt made from brushed 100% cotton, to bring to you a top of the line pad. 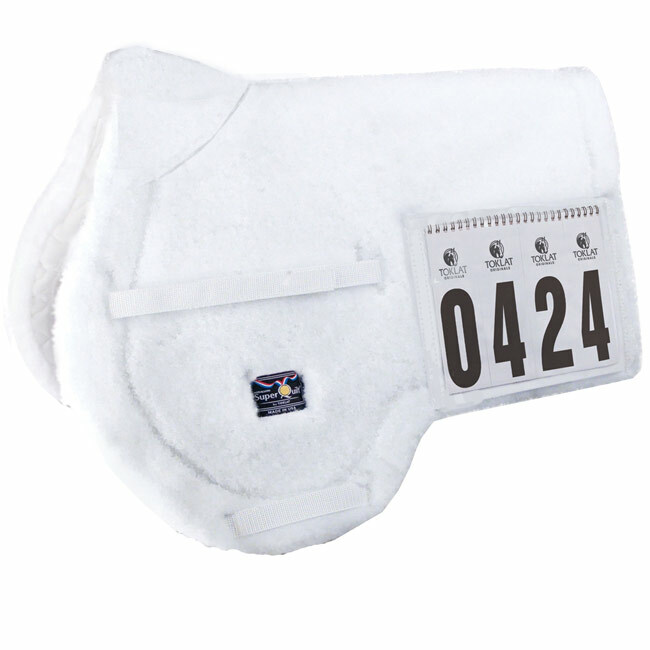 This pad is perfect for competition with its plastic number holder you can display your number with ease. The high profile design of this English competition pad gives your horse maximum amount of wither clearance. So, don't worry over wearing your number on your coat anymore when you use this Toklat competition pad!